Wilmington, Del. 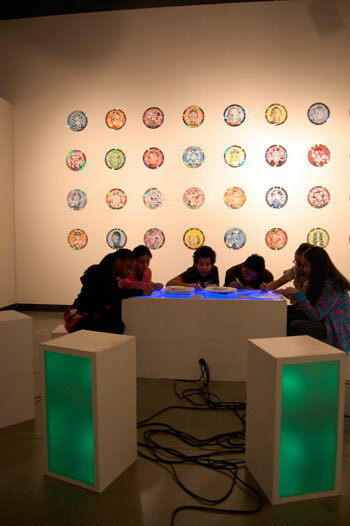 – 22 March 2011 – The Delaware Center for the Contemporary Arts announces the 2011 Call for Entries for the Art & Community Visual Arts Residency Program (AIR) for residencies that will take place from Fall 2012 – Spring 2013. The purpose of this residency program is to allow artists to conceive, implement, and manage a project that engages a community group in meaningful art experiences; encourage the work of innovative artists; and to infuse challenging ideas and issues into the community. Artists in all visual and interdisciplinary art media involving the visual arts are eligible to apply. Certain eligibility requirements apply. Please refer to the full PDF application. During the residency, an artist lives at the DCCA and makes a full-time commitment to collaborate with an under-served community group for six to eight weeks to create artwork based on issues relevant to the participants’ lives. Artists work with the community group approximately 8 -10 hours per week in addition to several hours of additional preparation time necessary for fulfilling the goals of the residency. Residencies typically culminate in an exhibition, performance, or installation at the community site or at the DCCA. The DCCA may also schedule an exhibition of the artist’s own work dependent on timing and curatorial review.The DCCA oversees the details of the residency, arranges for the community partnership in cooperation with the artist, seeks funding, and supports the planning and documentation processes; including a catalogue that features residencies with images, project summaries, and artists’ biographies. For inquiries regarding this program please contact Jane Chesson, DCCA Curator of Education at: 302-656-6455 x7101, or jchesson@thedcca.org.